A:Puppyhood can be divided roughly in three stages: the first one that affects the life of a puppy at its new home is the maximum socialization period, between 7 and 12 weeks. During this most important “window” in the puppy’s mental development, it must be introduced to every possible aspect of normal everyday life. 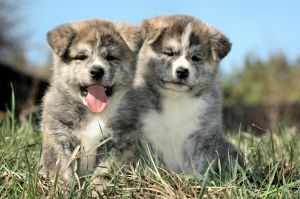 Anything left out during this period will be a cause of inhibition in the adult dog, and a puppy not fully socialized between 7 to 12 weeks of age will never reach its full potential as an adult.That's one of the reasons that puppies should go to their new homes not earlier than 8 weeks of age. 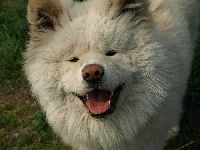 Another akita dog becomes famous, the National Federation of UNESCO Associations in Japan appointed Wasao as a special ambassador for World Heritage-related activities. Wasao got his name from a blogger who met the “busa (ugly) kawa (cute)” akita in one of his trips to the country. Wasao was abandoned and kind of hard to get close to. Somehow a local squid restaurant owner managed to bond with Wasao and their little story made the dog famous all over the world. Even the title sounds pleasant before you even open it, "Our akita", it's more personal, friendlier and shows that wants to bring you closer. The first impression is that it's about a special attempt that emphasized on quality, well printed, excellent paper quality and in full color. The photos used came from real owners and not some commercial photo studio. The language is simple, easy to understand, well structured and keeps you interested till the end. It is doubtful if Richard Hellman ever envisioned making dog show history with a breed he didn't like. "I ridiculed them and fought against the Japanese Akita for years. I was living in Europe during the mid-80s and the quality at that time was very poor; there was nothing about them that appealed to me. 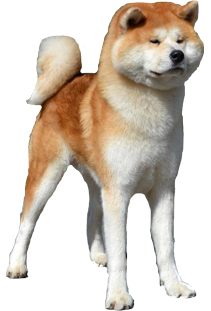 To my mind, the only real Akita was the American Akita." But that was soon to change. Dolcenea , 93 titles and counting! 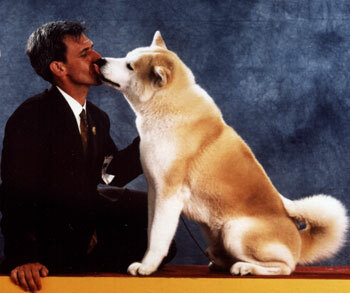 Every time I saw Dolcenea winning I was wondering how can someone do this with an akita? How determined someone must be? 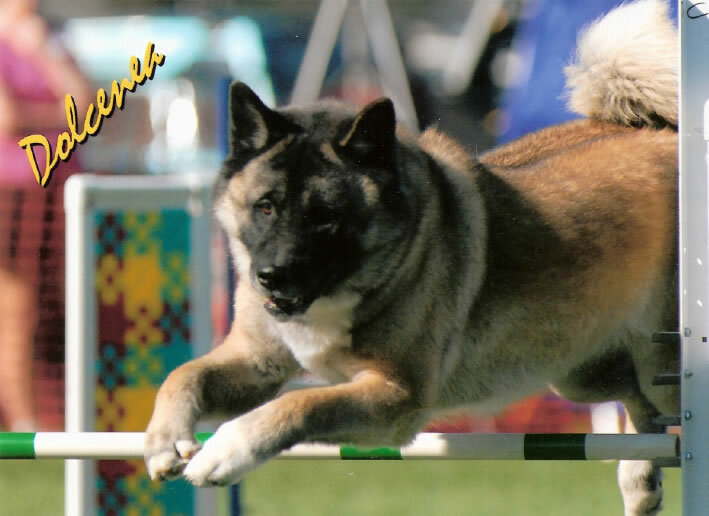 Could this be possible for all akitas and how can we build this trusting relationship with our dog and have fun? 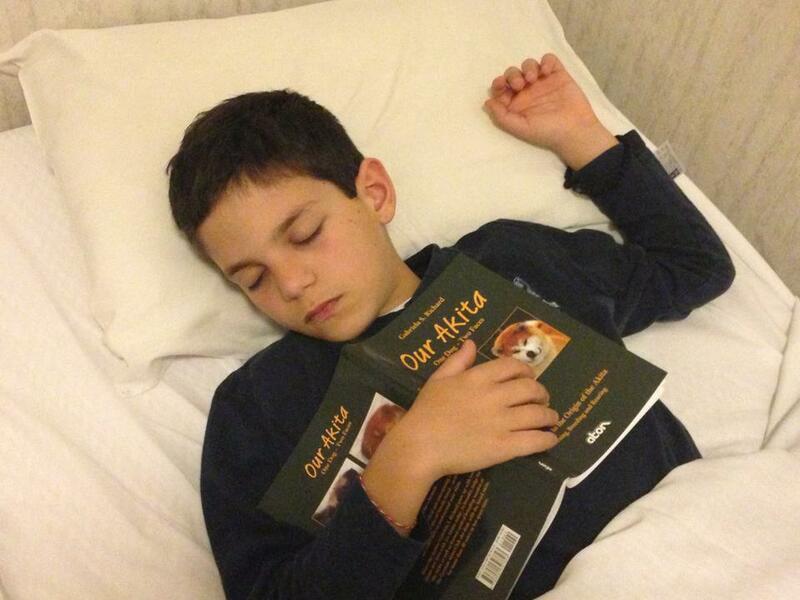 Luckily , Dolcenea's mom, Debra Fletcher, was happy to share her experience with us.